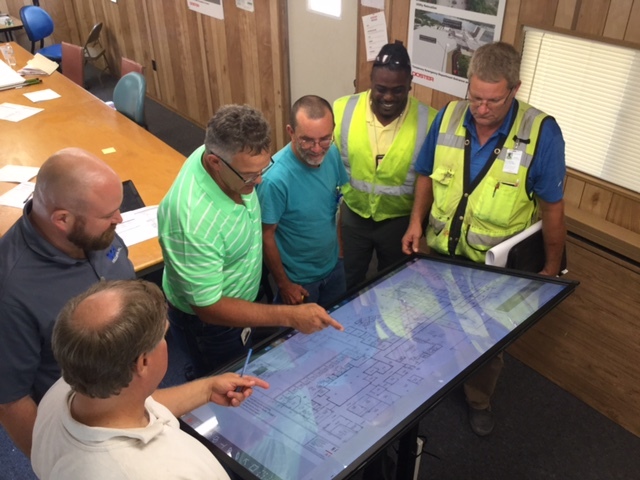 Always on the forefront of emerging technology, Doster has rolled out two digital plan tables to improve communication and access to drawings on our Winter Haven ED Expansion and HealthSouth Westerville projects. Pictured above are team members on the Winter Haven Hospital project. The touch-enabled digital plan table allows project team members to view drawings from Plan Grid, view digital submittals in Bluebeam, and navigate BIM coordination models in Navisworks all from one central hub.